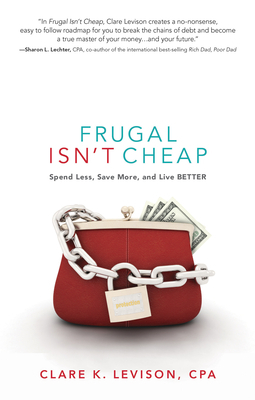 In Frugal Isn't Cheap, Clare Levison serves up practical financial advice with a side of southern charm. Filled with real-life stories, it will challenge you to change the way you think about money. Virginia, with her husband and two daughters. "Clare Levison creates a no-nonsense, easy-to-follow roadmap for you to break the chains of debt and become a true master of your money…and your future." "Clare provides a fresh perspective on financial literacy issues. Her ability to synthesize complex financial solutions into a clear and understandable story sets her apart from others."